Chemistry World reports that the catalyst could not only fuel the hydrogen-powered cars of the future, but could also help clean up municipal wastewater. Gerardine Botte of Ohio University uses an electrolytic approach to produce hydrogen from urine - the most abundant waste on Earth - at a fraction of the cost of producing hydrogen from water. Urine's major constituent is urea, which incorporates four hydrogen atoms per molecule - importantly, less tightly bonded than the hydrogen atoms in water molecules. Botte uses electrolysis to break the molecule apart, developing an inexpensive new nickel-based electrode to selectively and efficiently oxidise the urea. To break the molecule down, a voltage of 0.37V needs to be applied across the cell - much less than the 1.23V needed to split water. Her work is described in the Royal Society of Chemistry journal Chemical Communications. “During the electrochemical process the urea gets adsorbed on to the nickel electrode surface, which passes the electrons needed to break up the molecule,” Botte told Chemistry World. As for peeing in the tank.... why not? Well, maybe in a container 1st piped to the converter. This would be the best news for Le Mans... drivers don't need to pee their pants (and the seat for the next driver) and will be able to go much longer just by having a pipe like astronauts. As for residual waste ..Urea is fertiliser. The plants need N and not H from it anyway. Just another excuse for drinking and driving. If at first you don't succeed, piss on it. Does this work for cow urine, too? How about pig urine? 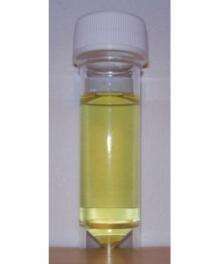 Racehorse urine? Skunk urine? Converting how a shrimp can strike a clam at 14 meters a second should be next to tackle here. We can leave the earth's atmosphere at 7meters a second-- How can we convert a shrimp striking a clam into real time usable fuel for us to space travel? The nickel electrode is reusable, but what happens in a lot of electrochemical processes is that the surface (thin top layer) of the electrode gets used up. While is is possible to keep polishing the surface and using the metal over and over for a very long time, the rate at which the surface requires treatment would be one ofthe parameters in determining how feasible this process is. As for jimbo92107's post about sources of urine, the answer is that as long as the urine contains urea, this should work. For mammals, any source should work. The 1.23 V they quote for water- well there are catalysts that could be added to bring the voltage down and make the process more efficient (one catalyst is vitamin B12, methylcobalamin - while it may or may not be as low as 0.37 quoted for urea, the article did not mention that possibility. Depending on how the reaction takes place (one molecule in separation or two together) and how the nickel functions (all well beyond my understanding) the products might be nitrogen gas and either CO2 (part of the natural carbon cycle) or even carbon monoxide which can be used to make fuel or used as a chemical feedstock. So where/how would I get the nickel-based electrode ? Or a DIY test kit? There are hundreds of resources on line for making an water to hydrogen electrolysis kit. Surely it can't be much different if not exactly the same for urine. I'm surprised this is a new development though. How long have we known that urine had this molecular structure and looser bonding than water? Combined with the chicken feather storage tanks which can allow enough non pressurized hydrogen for a normal sized car to be stored and costs around $250 to make we have a very viable solution. Total cost of ownership for a complete hydrogen fuel system will be less than a $1000. Recycle chicken feathers. Recycle Urine. Recycle the waste product as fertilizer. This is a very efficient use of resources. Actually maybe the chicken and sewage industries will see the financial value of being a player in the energy sector so this might have a small chance of success. This is EXACTLY the sort of thing I've been saving my urine for. Everything can be built at home also if you know a little bit of electronics and can obtain materials for the electrodes - the metals, silver chloride, glass tubes, epoxy, some op amps transistors and resistors/capacitors. Lots of articles written how to in the analytical journals. You forgetting one thing. Most of farm animals are corn feed. The corn use a lot of fertilizer and water made from natural gas and oil. So what happen that both natural gas and oil is gone? You have no source of your urine. What interesting about the idea is that urea can be used as perfect storage for hydrogen. I assuming that the energy required for electrolysis is lower then the energy produced from by hydrogen reaction with oxygen. The energy density per volume should be very high comparing to pure hydrogen. No high pressure tanks are required. the products of the operation are potassium carbonate (a primary component of potash)and nitrogen from the anode and hydrogen from the cathode. indications are that because urea converts quickly into ammonia it would make sense to have smaller cells that convert the urea immediately into hydrogen. impurities can be filtered; generally urine is very concentrated in urea content with some salts (nacl)and water being the major consideration. if a solar powered compressor and electrolysis system were used it would present a carbon efficient means of converting and storing an abundant energy source. since nickle is a catalyst in this process the loss of the nickle material should be minor, however it would need to be determined what can contaminate the nickle surface. potassium carbonate can be reclaimed and used industrially. perhaps a carbon nanotube method of storage, or in the case of a stationary system a hydride storage method would work here. since internal combustion engines can run on hydrogen one could start using this now even though fuel cell technology is not mainstream yet...just a thought. An ONDEMAND petrol and diesel emulsification system for the boilers,external furnaces and for use with power generators have also been tested successfully with 25% water in diesel DELIVERING SAME THERMAL EFFICIENCY at reduced fuel cost. The synthesizer is an ideal and economical solution for on demand hydrogen production from sea water and OTHER HYDROGEN RICH MATERIALS AND LIQUIDS.We can also use the OXIDISED (OH RICH) WATER or the hydrogen with the biomass or wood gas produced carbon monoxide to synthesis both as the producer gas for economical energy use. My sincere thanks to Dr.Gerardine Botte of Ohio University for her work which confirms my PRACTICAL EXPERIMENTS OF USING URINE AS AN EMULSIFIED FUEL along with my patented process and synthesizer for molecular engineering of materails and the synthesizer. Can this urea be used to turn any car into a car bomb? Yes! What about where the weather goes below zero? No H, no go!